This reparative cream-gel hydrates, brightens and strengthens the skin's natural immune response while you sleep. Reduces fine lines, neutralizes free radicals and stimulates collagen synthesis with Vitamin C complex. Replenishes and hydrates skin with Peach and Pumpkin extracts. Recommended for normal, dry or environmentally damaged skin types. Use 1-2 times a week, at bedtime: Apply a thin layer to face, neck and décolleté. Aqua (Water), Ascorbic Acid (L), Caprylic/Capric Triglyceride, Cetearyl Alcohol, Gluconic Acid (D), Dioscorea Villosa (Wild Yam) Root Extract, Lactic Acid (L), Beta-Carotene (D), Coco- Caprylate/Caprate, Fructooligosaccharides (D-beta), Sodium Lactate, Dicaprylyl Ether, Citrus Aurantifolia (Lime) Oil, Capsicum Annuum (Paprika) Extract, Citrus Limon (Lemon) Peel Oil, Caramel, Alcohol Denat., Glycol Distearate, Cetyl Alcohol, Hydrolyzed Corn Starch, Xanthan Gum, Benzyl Alcohol. Simply the most amazing skin product I have found.I only use it about three times a week at night as it is very concentrated. It reduces pore size, evens out skin tone, reduces wrinkles. I was amazed to see a radiance to my skin the first morning after I first used used it. My daughter introduced it to me after I commented on how beautiful her skin looked and we are now both loyal customers. You won't be disappointed. I have been using Night Worker for about 2 years now and have never found a better night treatment cream. It smells heavenly, goes on smoothly with no tingling or stinging like other exfoliators. It also feels moisturizing-I have dry skin and need a night cream over most other treatment products but this one is hydrating enough to use alone. Highly recommend the product and the ARCONA line. I have been using this product about 3 times a week under my normal nighttime moisturizer! I find it miraculous, and since I've tried SO many products like this with disappointing results, this is saying a LOT from me. Due to the amount of Vit C it contains, I didn't want to use it too often. It smells delicious, and really does a great job of reducing my between the brows deep ridges. A super brightening and tightening complex. I have been using Arcona for about 6 months, and although its taken a couple of trial and errors to find the right products for my skin, overall I love this skin care line. I started using the Night Worker about 3 months ago and I can see and feel a noticeable difference in my skin texture, smaller pore size, and much more even skin tone! 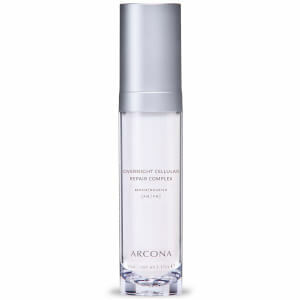 I'm a true believer in Arcona and the difference their products have made in my skin. 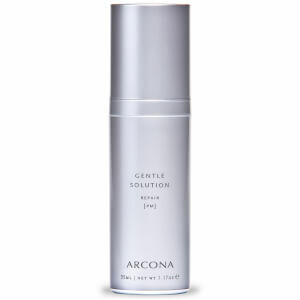 Night Worker is a MUST for your Arcona regimen. I use it every other night, and my skin looks and feels amazing in the morning. It has smoothed and refined the texture of my skin. I also love the scent, it's light and feels great. I highly recommend this product. I have used this for several years .And I'm always asked what do you use? your skin looks so good. I'm sold on all there products. Use them you will see your skin glow and look youthful.